Blackpool maintained the Northern Premier League’s last unbeaten record with a six-wicket victory at Penrith which extends their lead at the top by a further point to 13. Fylde coast neighbours St Annes and Fleetwood both managed major totals but neither could go on to win. St Annes had to settle for winning draw at Barrow after setting a target of 230-6, while Fleetwood topped that with 260-7 at Fulwood and Broughton but still lost an exciting game by three wickets, despite a century from Liam Castellas. While those two games were high on drama, Blackpool enjoyed a routine win at Tynefield Park, where Penrith chose to bat but were dismissed with four balls remaining for 138. Matt Grindley removed four of the hosts’ top five to help reduce Penrith from 46-2 to 69-7 and record his best Blackpool figures of 5-40 from 17 overs. Jamie Thomson took 3-28 from 7.2 and professional Jovaun van Wyngaardt’s 13 overs went for just 21 runs, though Blackpool were frustrated by Sam Hall, who batted number nine and top-scored with 42. Even so, the visitors needed just 32.4 for overs to seal victory at 143-4, Ciaran Johnson putting on 71 for the first wicket with Matt Houston and going on to make 51 from 64 balls, with nine fours. Blackpool’s loss of three quick wickets caused little alarm as van Wyngaardt (34 not out from 40 balls) and Andy Furniss (23) wrapped up the win with an unbroken fifth-wicket stand of 51 as the league’s leading wicket-taker Greg Hall drew a blank. Far more tension at Ernest Pass, where St Annes recovered from 17-3 to post 230-6 only for Barrow’s final pair to cling on. Amar Ullah led the charge with his best knock yet after St Annes chose to bat. His unbeaten 83 came from 113 balls and included 10 fours. The professional put on 61 for the fifth wicket with wicketkeeper Richard Staines (49 from 58) and an unbroken 97 for the seventh with Gurman Bains. Normally an opener, Bains came in at number eight and scored 42 from 38 balls. Barrow looked to be rising to the challenge as opener Toby Mowat (62) and Ryan Gilmour put on 82 for their second wicket but the wickets soon began to tumble. However, wicketkeeper Grant Roelofsen saved the Cumbrians’ day with an unbeaten 59 from 65 deliveries. And although the seven team-mates who followed him to the crease could total only 25 between them, Roelofsen ensured that Barrow held on from 153-8 to reach at 184-9 at the close. It means St Annes now trail Blackpool by 15 points and have lost second spot to champions Netherfield, who beat Garstang by eight wickets. Garstang lost their top-four place to Chorley, winners by nine wickets at Morecambe. Fleetwood stay fifth but certainly wouldn’t have anticipated a three-wicket defeat after player/coach Castellas’ 108, his first ton for the club, steered them to 260-7 at Fulwood and Broughton. And with their total boosted by 44 from professional Neels Bergh, one of three NPL players averaging over 50, Fleetwood looked to be set fair in this dress rehearsal for next month’s Readers T20 semi-final. However, the hosts timed their reply perfectly to reach 262-7 with four deliveries remaining. Their road to a victory which lifts them out of the bottom two was paved by the second-wicket pairing of RPST Shiv (81) and Lancashire’s Simon Kerrigan (75). Lytham pulled off a third successive Liverpool Competition victory to climb into the top half of the ECB premier league. They followed their victory over leaders Northern with a two-wicket success away to second-bottom Rainford, chasing down a target of 243-5 in St Helens. by Paul Rarrar, who went on to reach 88 from 105 balls, with 11 fours and three sixes. A fourth-wicket stand of 89 between Comrey Edgeworth (48) and captain David Snelgrove (47 not out) then propelled Rainford towards a declaration after 55 overs, Josh Holden having taken 3-47 from his 12. The Lytham reply was also built on a solid opening partnership of 57 between Taylor Cornall (above, 34) and Holden before Steven Croft took over. Having failed to reach 50 in his first nine Lytham innings, the Lancashire ace now has back-to-back half-centuries to his name. Croft scored his 56 from 73 balls and put on 59 for the fourth wicket with former captain Guy Roberts (41). And although Croft’s dismissal started a mini-slump from 183-3 to 194-7, Matthew Taaffe steadied Lytham’s ship with an unbeaten 23 as victory was sealed at 246-8 from 57.1 overs, despite John Dotters’ 4-83 from23.1 overs and Daniel Houghton’s 3-45 off 17. Wicketkeeper Richard Beesley’s unbeaten 111 helped Freckleton to a massive 125-run win over BAC/EE Preston, taking them past 100 points for the season and extending their lead at the top of Palace Shield division 1A to 11. Beesley’s first century in 15 years of league cricket for the club included 12 fours and six sixes in a 116-ball knock. Kirkham and Wesham climbed back into the top four, leapfrogging Fylde, while Norcross rose out of the bottom two courtesy of victory over rock-bottom Withnell Fold. 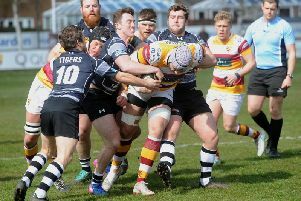 The Fylde coast’s three premier division clubs all find themselves in the lower half after away defeats, Lancaster’s win over South Shore lifting them into second place. Moore and Smalley Palace Shield premier division: Eccleston 267-4 beat Torrisholme 219 ( by 48 runs, Kendal 136-3 (E Price 40) beat Thornton Cleveleys 131 (S Bariwala 5-28, C Miller 3-44) y seven wickets, Lancaster 231-8 (K Moffat 67, I Perrieman 41no, N Ashford 3-46) beat South Shore 191 (D Jardine 41, I Perrieman 4-25, C Swarbrick 3-57) by 40 runs, Longridge 110-4 beat New Longton 109 by six wickets, Vernon Carus 164-7 (W Royle 44, P Booth 3-45, P Whittle 3-46) beat Great Eccleston 163 (A Green 75, P Hayton 5-59) by three wickets. Division 1A: Freckleton 268-7 *(Richard Beesley 111no, E Fiddler 47) beat BAC/EE Preston 143 (A Hogarth 3-35) by 125 runs, Fylde 126 (C Outram 33, J Tabord 5-40, W Saunders 4-42) lost to Tarleton 143 (N Astley 39, U Arbrar 4-49) by 17 runs, Grimsargh 186-9 lostto Standish 189-6 by four wickets, Hoghton 151 lost to Mawdesley 152-5 by five wickets, Norcross 108-2 (M Griffiths 44no) beat Withnell Fold 107 (G Green 51, S Perkins 6-19, R Thomas 3-39) by eight wickets, Rufford (forfeited) lost to Kirkham and Wesham 166 (S Bovington 85) by 166 runs. Kirkham and Wesham crashed out of the Meyler Cup in Sunday’s quarter-final, dismissed for 77 at home to Kendal to lose by 143 runs. The visitors set a target of 220 as opener Saeed Bariwala scored 51 and James Park 47. Toby Tyson took 3-6 from his five overs. n Lancashire stand second-bottom of the first division as they return to Specsavers County Championship action at home to Hampshire today. Worcestershire are celebrating their first Championship win of the season after polishing off a 202-run win over the Red Rose on Saturday despite a superb century from Keaton Jennings at Blackfinch New Road. Jennings made 177 and defied the home attack for nearly seven hours in pursuit of a 602 target. The England opener struck 27 boundaries in his 295-ball knock, his third Championship hundred of the campaign. Ed Barnard was the home hero with match figures of 9-129 from 46.4 overs. Lancashire head coach Glenn Chapple said: “It is fairly clear that we lost the game on day one. To have them 80-5 for lunch and for them to go on and make 247 was too many. “We bowled very well up to lunch and we have to examine whether there was any complacency because our performance level dropped.